by "Nostalgia" will be familiar to anyone who has been watching BBC 1's Wallander as this rather lovely folk track has been used in the shows title music and won a Royal Television Society award for the best original theme. All that and Emily doesn't even own a T.V to watch the show on! "Nostalgia" really is a beautiful track worthy of all the accolades that come it's way. A gently picked guitar is delicately balanced alongside the haunting sound of fiddle and accordion that shows off just how fragile the song is. Perfect for a song titled "Nostalgia". 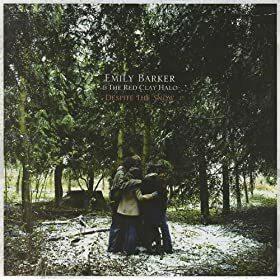 Emily's voice is simply beautiful, haunting, delicate and, towards the end of the track, soars about the instrumentation which adds to the fragile feel of the track. OK, as far as a folk song goes, this isn't aything new or different but it's the delivery and execution of the track that makes this really stand out from many others. The band daw you in and make you want to listen to them. In short a really good record which is a must for anyone who has been listening to Pete Roe, Mumford & Sons or Sparrow And The Workshop over the last 12 months or so.